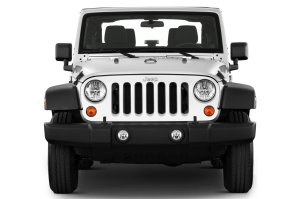 The iconic seven-slotted grille and utilitarian profile of the Jeep Wrangler Sport are the most identifiable remnants of the original military Jeep in the 1940s. Since the Wrangler’s beginnings in 1986, the Wrangler has undergone cosmetic alterations and has developed additional trim packages that make the Wrangler more versatile, stylish and spacious. More than just a workhorse, the 2016 Jeep Wrangler Sport is designed for durability. The go-anywhere, do-anything attitude of the Sport continues to attract a younger crowd of people who live an active lifestyle and love the outdoors. The Wrangler is also popular with those who regularly depend on a versatile all-wheel drive transportation that can handle difficult weather and terrain conditions. The 2016 Jeep Wrangler Sport, the Wrangler’s most basic trim, has an MSRP of $23,495. The SUV is equipped with four-wheel drive and is powered by a 3.6-liter, 6-cylinder 24-valve VVT engine, paired with a 6-speed transmission. It has a towing capability of 2,000 pounds and an estimated fuel economy of 17 MPG in the city and 21 MPG on the highway. Part of the fun of owning a Jeep Wrangler is going off-road and testing your vehicle to the max, and many other SUVs lack the ability to do so because their exterior isn’t built for it. To make the Wrangler capable of off-roading challengers, the Wrangler Sport rides on 16-inch styled steel wheels, Goodyear Tires, and is equipped with a full-size spare tire. A soft-top roof is standard, though a Premium Black Sunrider Soft Top or a Freedom Top 3-piece Hard Top can be added on to a purchase. Buyers have the choice of seven colors that range from Bright White Clearcoat to Black Clearcoat. so can be washed with a hose. Also standard is the Radio 130/CD/MP3 unit with an optional SiriusXM Satellite capability. Storage options include folding rear seats that allow for more back-seat cargo space, a storage tray and rear compartment that offers covered storage. Additionally, there is a Torx Tool Kit included with every soft-top Wrangler, these tools make it possible for drivers to easily remove or put on the roof. 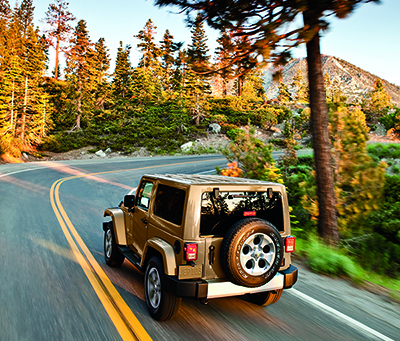 Known for being used in harsh conditions, the Wrangler is built for durability so safety features are very important. For long days of driving, navigating unpaved roads, drivers can be sure tires have ample pressure because there is a tire pressure display and warning feature. Additional electronic safety features include traction control, hill start assistance, electronic stability control and electronic roll mitigation.The vehicle is equipped with several airbags and a sport bar with full padding. As one of Jeep’s most iconic vehicles, the Wrangler has eight different trims and each has their own distinct properties. 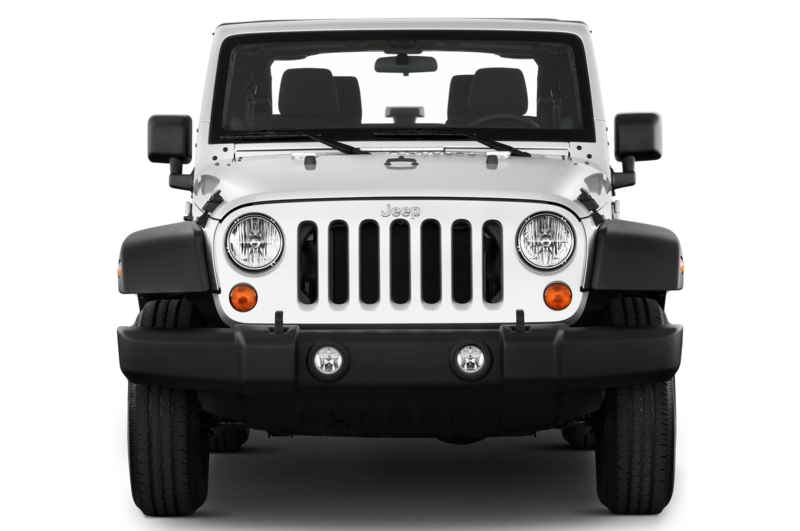 Various 2016 Wrangler trim packages include the top-of-the-line Jeep Rubicon Hard Rock that starts at an MSRP of $37,495 and the Willys Wheeler W that has a starting MSRP of $29,895. From those original Jeeps, more models and trim lines have evolved, each possessing different functions, comfort levels, size and catering to different buyers. The Grand Cherokee represents Jeep’s top-end model and has the space, safety, technology and comfort options that can compete with other expensive luxury SUV’s. The Jeep Cherokee, that was recently reintroduced in 2014, is Jeep’s mid-sized SUV that can be accessorized for luxury and hard work. The Jeep Patriot, Jeep Compass and newest model, the Jeep Renegade represent a versatile and spacious compact SUV line. An excellent entry into the world of 4-wheel drive vehicles, the Jeep Wrangler Sport conveys a message that there is more to life than the plushest leather interiors, second-row entertainment packages and fully automatic sunroofs — there’s fun and capability. Aventura Chrysler Jeep Dodge Ram is located in North Miami Beach and we have a large selection of Jeep Wranglers and other Jeep models. Though we are primarily a new car dealer, we accept trade-ins and sell used vehicles as well.